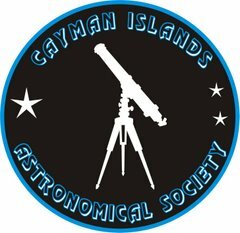 The next meeting of the Cayman Islands Astronomical Society is next WEDNESDAY 16th September at 7:30 PM - to be held at St Pedro's Castle. The Society is still looking for somewhere easily accessible to allow me to store the various scopes etc. other than in my house- which is on the market at the moment. The series of 4 "Blood Moons has not yet resulted in the end of the world- but we have one more Moon to go. 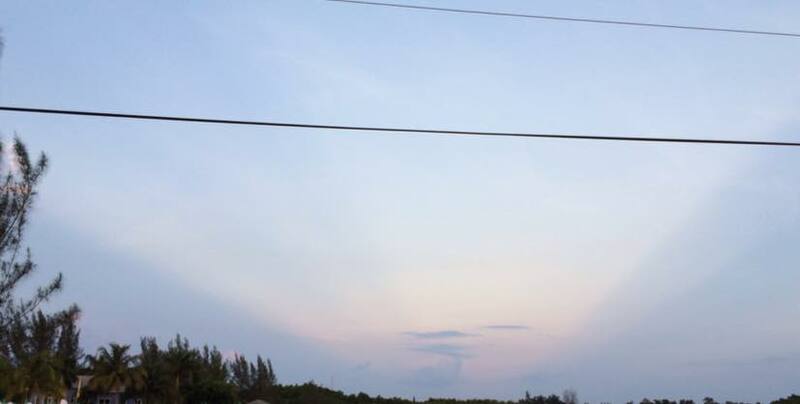 Here's a picture taken the other morning - its facing WEST - so the Sun is behind me in the East. What you are seeing here are Anticrepescular rays - good word for Scrabble that. Seen quite a few recently in the evening skies but early in the morning quite rare. Finally the email list is growing all the time but let me know if you want you name removed. Clear Skies, Keep looking up!